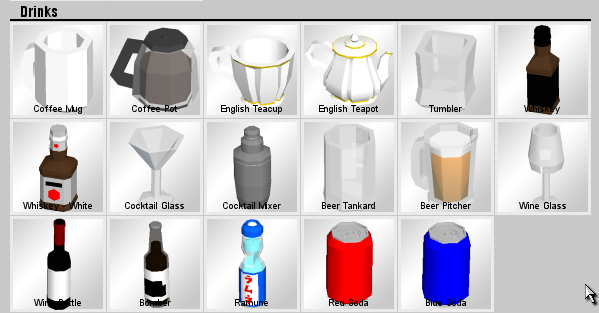 Drinks (V1.1) - Build, serve, and consume beverages! 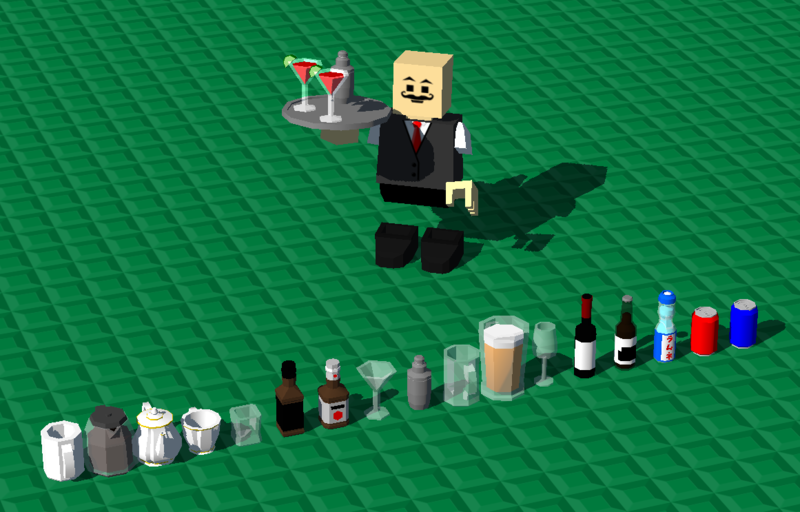 Build, serve, and consume beverages! Right click to pick up/put down, and left click to drink/use. All drinks heal 10-20 HP, depending on the drink type. Comes with events as shown - fillCup and emptyCup only affects bricks on top of and below the brick (up to 1 plate gap) with the event. The text field specifies the type of drink brick - if none specified, fillCup and emptyCup will apply to all cups in its range. Alcohol also has a drunk effect that fades over time, that consists of screenshakes and chat being slurred/garbled. A tray item can be used to pick up and hold up to 4 individual cups/fillers. Left click to pick up/put down in the order they were picked up. This is cool is it similar to GSF ghost's cup mod? I can't find the download. How does it work as a brick?